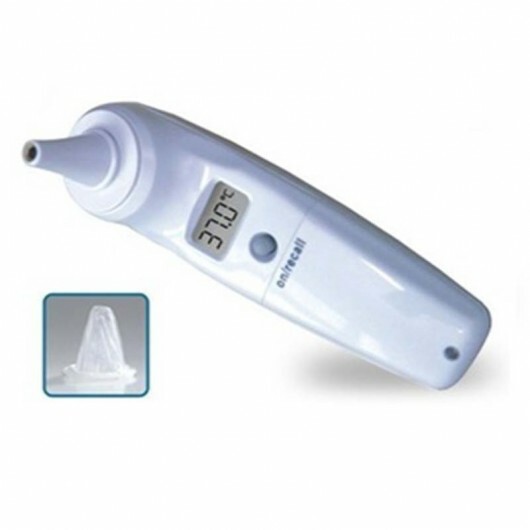 Digital infrared ear thermometer can measure your temperature quickly and accurately by inserting the tip into your ear. Infrared Ear Thermometer with Covers. Measurement time (reference only):1 second. Auto shut-off (1 min after idle). Battery: AAA x 2, alkaline batteries. Battery life: approx. 4,000 takes. Requires new disposable probe cover after each use.